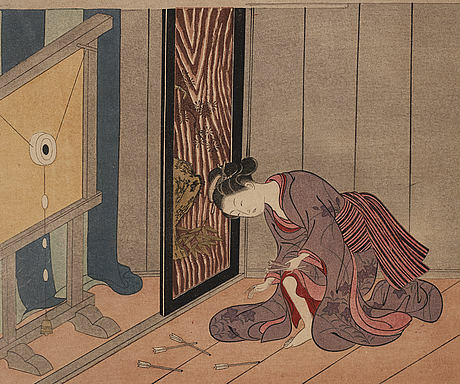 SUZUKI HARANOBU (1725-1771), after, diptych, color woodblock print. 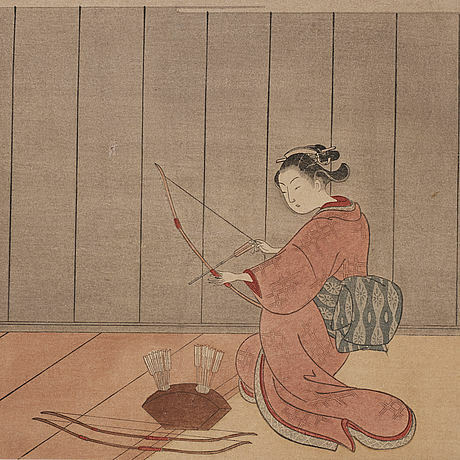 Japan, 'The Archery gallery', early 20th century. 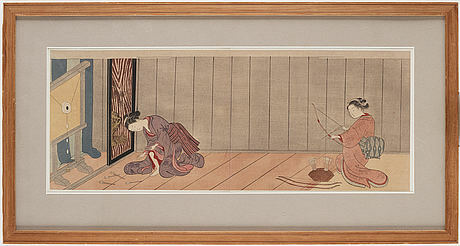 Depicting two courtesans, one holding a bow and arrow, the other knee bent picking up the used arrows on the floor. Unsigned. 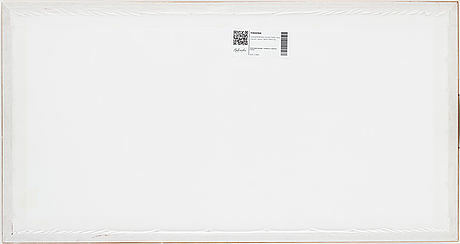 Image size 22 x 55 cm. See similar at The Museum of Fine Arts Boston, 11.19525-6; 21.7170-1. Not examined out of frame. Faded. From the collection of Hans Eklund (1921-2018).